This week’s picture picks are SWNS photographer Adam Gray’s snaps of the Bristol balloon fiesta, taken from the air. This year’s International Balloon Fiesta kicked off on the 31 July 2015. Bristol annually plays host to Europe’s largest ballooning event. 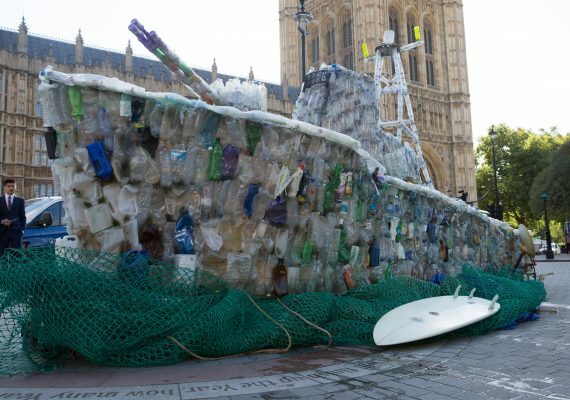 If you haven’t been before it is an amazing spectacle and whats more, it’s a free event for the whole family. Around 150 hot air balloons take off from Ashton Court Estate at dawn, and also light up the skies during the evening with the stunning nightglow. 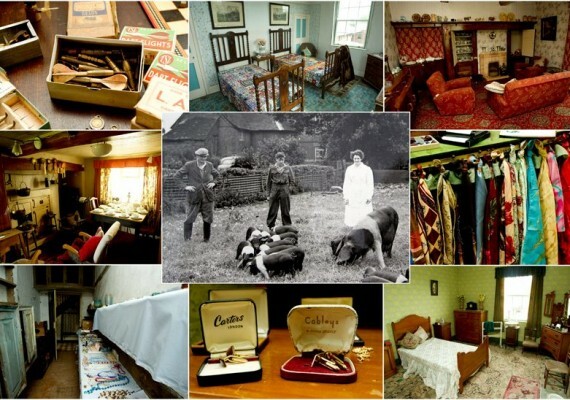 This year the event took place on a beautiful sunny day in the South West of England. Our staff photographer was floated off with the first balloons to fly out at dawn to capture an aerial view of houses in Bristol. 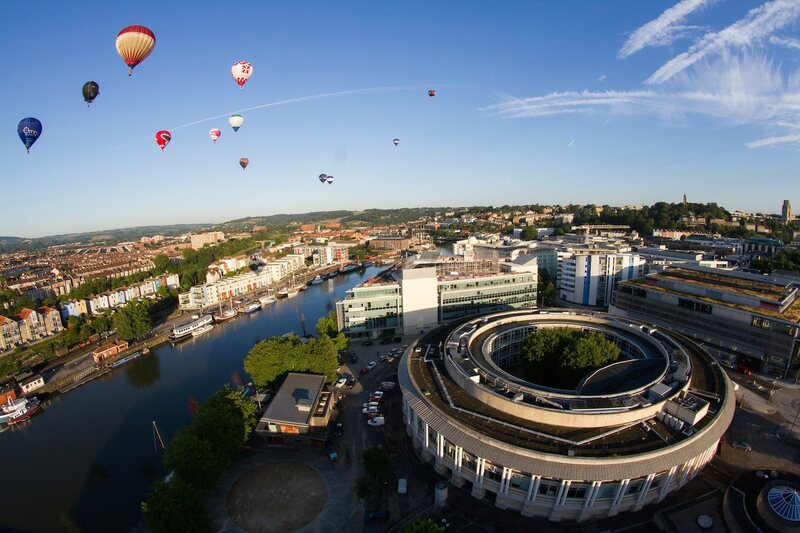 For a change, 25 air balloons took off from the Bristol Harbourside and flew over the City to officially launch this year’s Fiesta. The event features four days of extravagant hot-air balloon displays with half a million visitors gathering in the gorgeous grounds of Ashton Court to watch balloons of all shapes and sizes lift off over the South West. Entertainment for all the family includes fairground rides, delicious food stalls and bars, face painting and acoustic music areas. Most of the city were probably still in a slumber when the first balloons took off, but many would have woken to the spectacular site of a mass balloon flight. Not a bad view over coffee and toast! 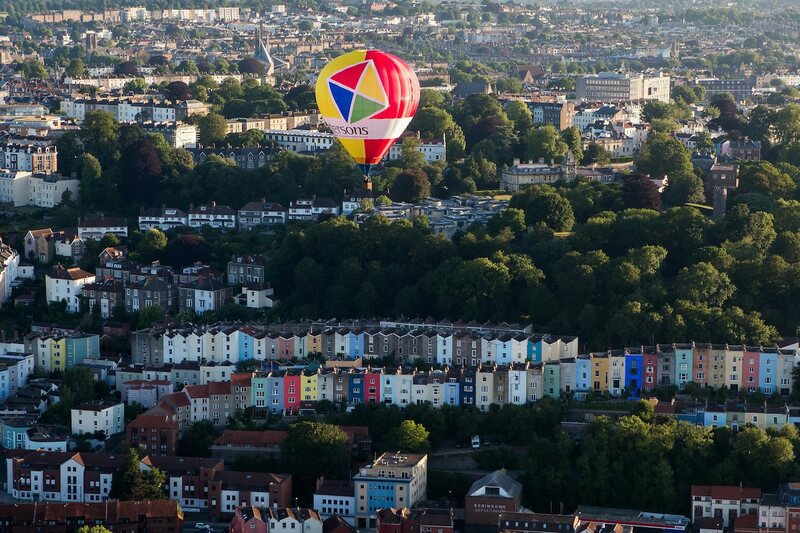 Our snapper Adam Gray was up at the crack of dawn to board one of the 6am ‘Breakfast Balloons’, taking to the sky as the sun rose over the waking city of Bristol. It was a clear crisp morning, making it the perfect day for a balloon ride and allowing Adam to capture some brilliant photos. It’s not every year that the weather plays ball for the start of the fiesta. 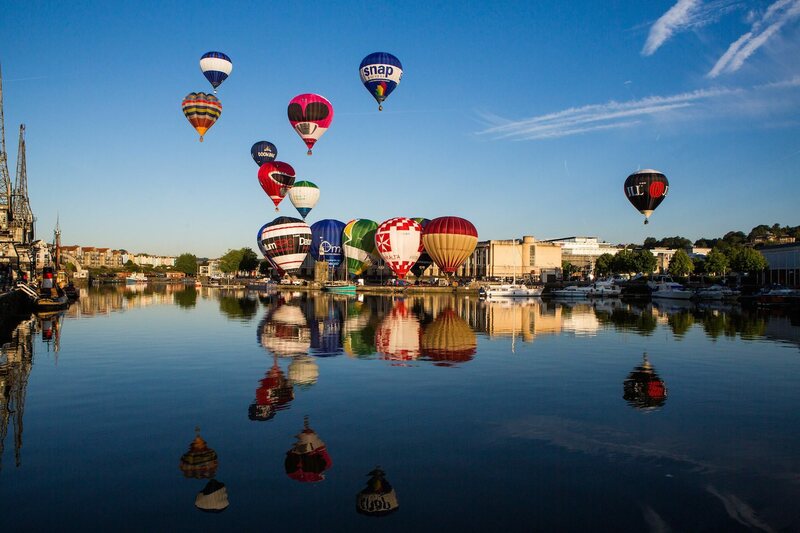 This stunning photo shows the balloons taking off from the Bristol Harbourside to celebrate the opening of this year’s fiesta. Adam captured the balloons jostling for space and rising into the clear, crisp, morning sky – with a wonderful reflection into the Harbour. In this photo, Adam captures the distinctive pastel houses around the iconic Totterdown district of Bristol. The photo was taken from another balloon. Let’s hope that Adam was treated to a balloon breakfast and didn’t spend the entire flight taking pictures for our enjoyment. 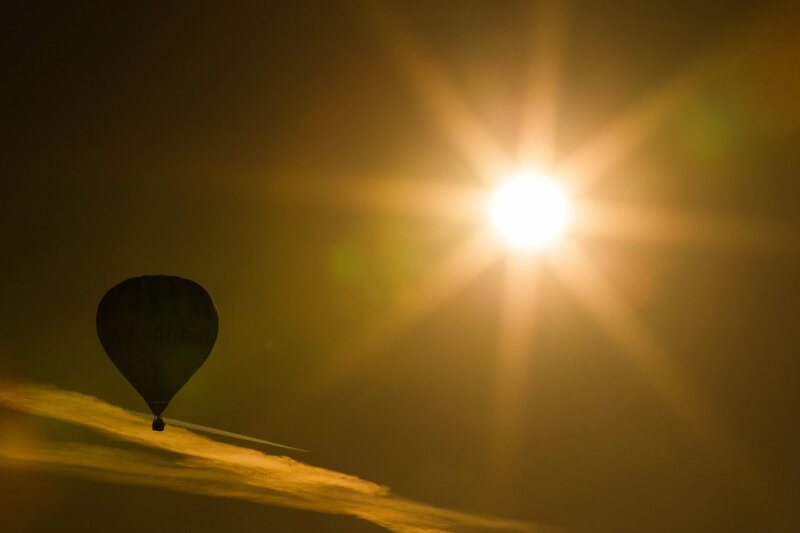 We love this eerie balloon silhouette. The balloon looks like it was taken high into the atmosphere, at the top of the world. It could almost be a balloon ride on another planet. Did you know that SWNS undertake various aerial photography assignments for both corporate and press clients? You can find out more on our Aerial Photography page. From helicopter photography, to light aircraft and even drone photography – we’ve got it covered. Our aerial photographers capture breaking events and incidents, festivals, properties and sites, and incredible views and landscapes. 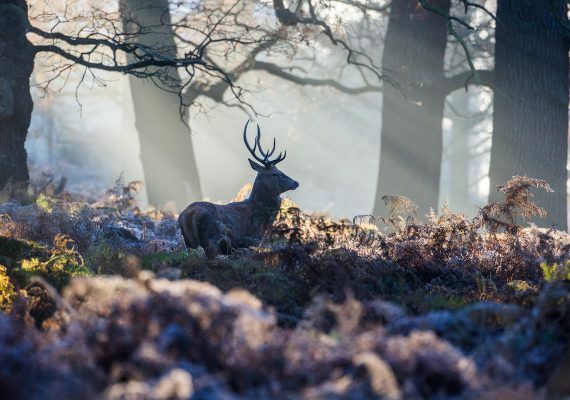 If you would like to see more Adam Gray photography, you can visit his gallery here. To read more about Adam Gray the photographer, see his profile page here. This week, SWNS photographer Tom Flathers was lucky enough to have the opportunity to shoot a Read more! 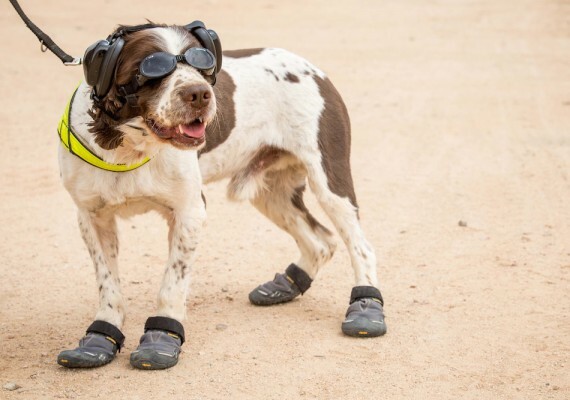 One of the British Army's oldest working dogs has donned goggles and boots for the largest military Read more!